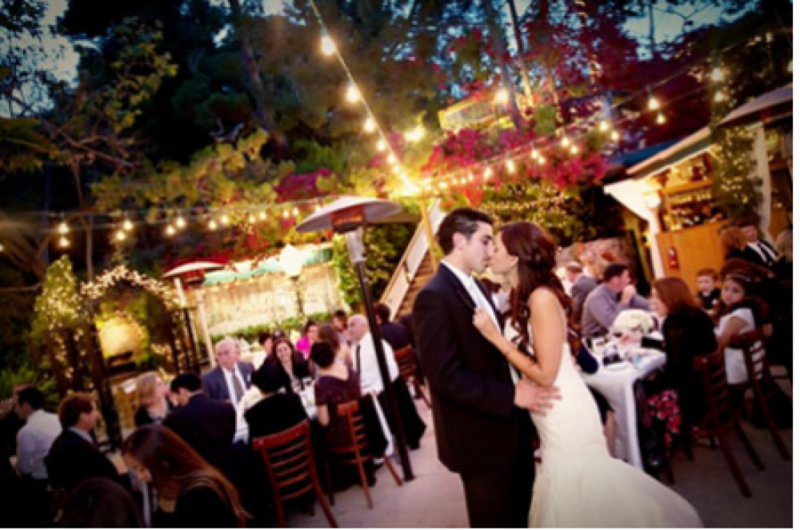 The romantic garden setting of Tivoli Terrace is the perfect location for your wedding and reception. We are nestled in the hillside of beautiful Laguna Beach, the heart of the Southern California Rivera. Our property has two distinctly unique levels. The bride to be makes a dramatic entrance into the upper terrace chapel by walking up a grand staircase. Up in the trees you and your guests are surrounded by twinkle lights, antique wood doors, flowering plants, lush greenery, fountains and a beautiful arbor for your ceremony. Downstairs in our intimate reception area you will be greeted by candlelight, stained glass, our giant California Sycamore tree and an antique gazebo to display your wedding cake.